On a small scale is the collaborative effort we take when working on a client project between individual team members here in the studio. On a larger scale it is the relationship we forge with our clients. We see our work with clients as an evolving collaboration which delivers pleasing results for everyone involved with relevant input from both teams. Collaboration within Zynke also refers to the work we entrust to our extremely valued suppliers. With a company history stretching as far back as our does we have built many great relationships with valued suppliers. Each supplier we use and recommend is one that we trust and one that we see as valuable to our own business as it can be to our clients. Whether that collaboration is between us and a printer to come up with the perfect solution for a client’s unique situation or with copywriters to ensure the message comes across correctly or with food stylists to ensure a client’s product looks absolutely perfect, we value input from all of our trusted suppliers and believe their input can help create a stronger finished product. Below is just a small range of jobs we have recently completed from graphic and logo design to photography and printing that have required us to really put trust in our collaborations to come up with the perfect solution for our clients. Working with renowned and amazing illustrator Greg Holfield, Zynke was able to deliver a perfect solution for our client, Adelaide’s oldest Christmas Tree Farm. From our client’s brief we were able to recognise early in the project that the illustration work required an extremely specialist skill. 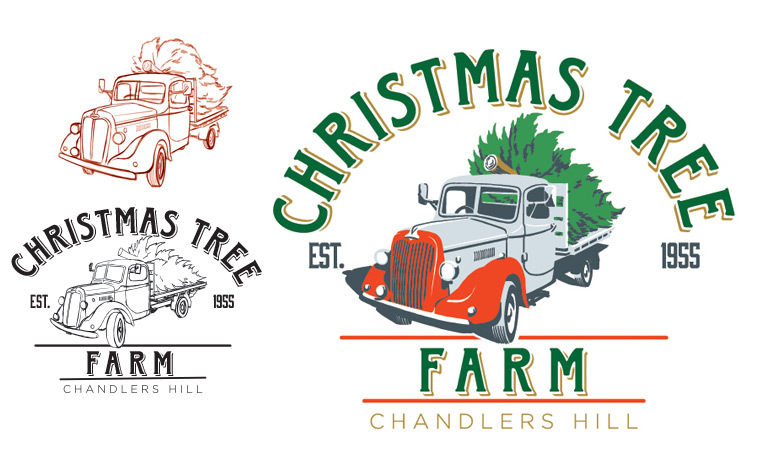 The brief required an image of the client’s historic Christmas tree delivery truck to be the focal-point of the logo. Whilst we pride ourselves with being able to get as much done in our own office as possible sometimes a job comes along where we have to reach out to others who provide specialist skills. We believe that this is not detrimental to our job or company but an asset. To be able to realise one’s own shortcomings, yet still be able to deliver a fantastic result for a client is extremely rewarding for us. The trust and confidence we can put into our suppliers is second-to-none and we believe that the result is far better than if we tried to handle everything without the aid of a specialist in their field. To entrust them with work of our clients means we have to essentially trust them as much as anyone else in our team to deliver the best results possible for our valued clients. Working with all parties involved concurrently has enabled Zynke a solution that is extremely thought out thus providing the perfect result for our client. Angela approached Zynke as a recommendation from another of our valued clients with a unique challenge. Angela, an experienced paediatrician has amassed a lot of knowledge in her field and has a desire to help those in less-fortunate countries. Angela does a lot of work for Walk For Life Bangladesh and had envisaged a unique fund-raising exercise which would not only help the foundation but also help educate other Podiatrists. Angela had written a series of 7 ‘monographs’ or short text books and wanted to package them up into a printed package that she could sell as a means to raise money for Walk For Life Bangladesh. 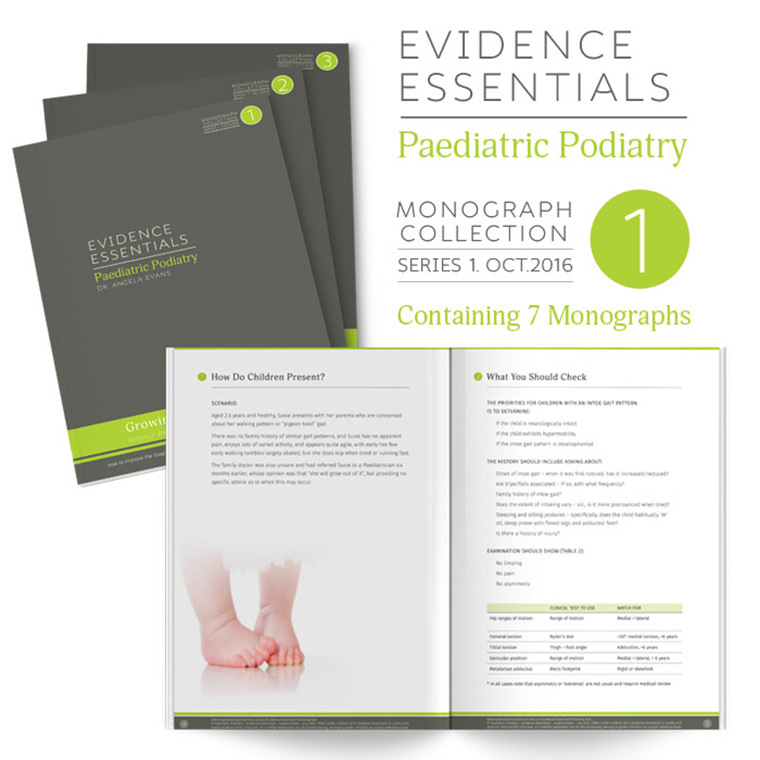 The end package had to have a premium look to it and needed to be a valuable resource for those purchasing it, something that wouldn’t look out of place in an academic library. Zynke understood the unique challenge and came up with a fantastic solution, thanks to our collaboration with trusted printers and paper suppliers. Together we devised a package that looks right at home in an academic bookshelf and delivers a premium, professional feel. Spicers paper really came to the party with this one and was an important part of the process in recommending and supplying the final paper stocks selected which helped give the package a really tactile and premium feel and look. Combined with some extremely new and modern digital printing techniques from our trusted digital printer the package is as beautiful as it is informative and educational. 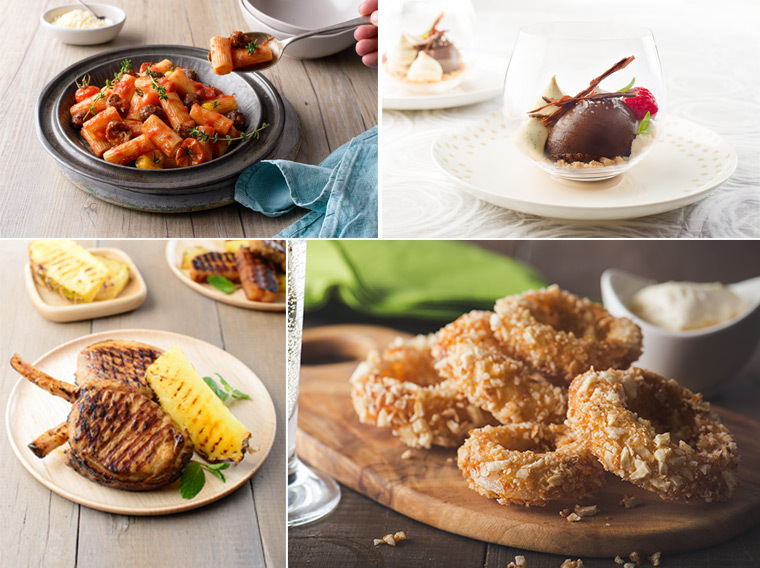 Working with many food and beverage clients Zynke is often requested to photograph products and food dishes which showcase their products in the best way. Using a food stylist is a must for most of these shoots as it means we can focus on what we do well; taking the photo without having to worry about moving the often small pieces of food around to create the perfect look, after all as much as we enjoy food and cooking we are not chefs and don’t have the necessary industry experience to plate up a perfect looking dish every time. Good product and food photography can really help to compliment the graphic design of the packaging as well as websites and social media. Zynke have worked almost exclusively with Chris Stephan from Pen and Palette for many years whenever we require food styling services. We have always achieved the best possible results for our clients and we have shared many great images and delicious food. Chris’ knowledge within the food industry is extensive and her bag of tricks when it comes to styling food for photography and video make her an extremely important part of our extended ‘team’ of collaborators. Chris helps oversee almost everything on a shoot from inventing recipes that really highlight and showcase a product down to purchasing all ingredients needed for a shoot and offering her insights and opinions on prop-matching and selection. We value Chris’ input as it really means we can book a shoot and know with absolute certainty we will get the perfect image for our client. With a huge collection of props including everything from plates, napkins and spoons to vintage knives Chris’ studio/kitchen space is a perfect location for photo-shoots and our clients and us are always greeted warmly with breakfast or afternoon tea and a coffee as a nice little bonus. As a bespoke, Adelaide-based design studio collaboration is often the key to building and crafting a perfect solution for our clients. Contact Zynke today and start collaborating with us to achieve the best success for your business in 2017 and beyond.